At Windows Xpress, we offer exceptional uPVC doors for homes in Eastbourne, Polegate, Hove, and the neighbouring areas. As a member of the Double Glazing Network, our customers benefit from quality security, weatherproofing and a stunning range of external uPVC door designs. Our attractive Liniar uPVC doors are available in a wide range of colours and bespoke finishes so whether you are looking to maintain the traditional or keep things modern and new, we have the right combination of styles for you. In addition to great looks, our uPVC entrance doors also give you the performance that you will love. These doors will give you up to a Secured By Design level of security. With these doors guarding your home, you will be able to sleep peacefully in the knowledge that your home, family, and possessions are safe. They will also help keep your home warm and dry with their exceptional thermal performance. Our Liniar front doors feature a broken-up profile that creates an insulating layer. As a result, your home does not lose any heat, keeping your rooms warmer with less heating required. They are also manufactured with high-quality gaskets that seal your home against draughts and damp. The uPVC doors that we offer are made of high-quality materials, giving you amazing durability. Their rigidity and resilience make them difficult to damage. 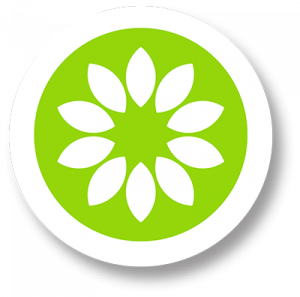 As a result, they are able to give you a consistent and reliable performance for many years. 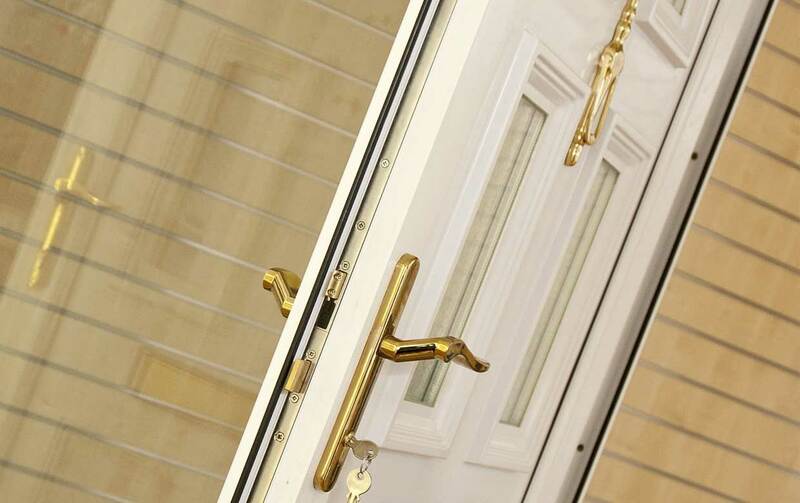 In fact, we offer a 10-year guarantee on our doors so you can invest in them confidently. At Windows Xpress, we understand the importance of being able to customise your uPVC door to match your East Sussex home. This is why we offer you a fantastic opportunity to tailor your front door to best suit your property, requirements and lifestyle. With a huge variety of colours to select from and plenty of hardware available to customise your uPVC door, you’re guaranteed to find the entrance door of your dreams. All our uPVC doors come with the options of a low or standard threshold, compliant with Part M of building regulations. Our double glazed front doors can be specified to your requirements, making them ideal for wheelchair users. Our entrance doors are remarkably strong and sturdy. Their strength means that these doors are incredibly difficult to damage or break. However, we don’t just rely on their strength for your safety. Our superb range of Liniar uPVC doors come with the advanced locking system by Yale. All doors fitted with the Yale lock are guaranteed against mechanical failure for 10 years after installation. Not only will you have an outstanding addition to your home, but you will also receive extra security. Our uPVC Liniar doors and Yale locks are Secured By Design accredited – a police preferred specification. We also offer additional security upgrade packages for your uPVC door for the ultimate home protection. The sturdy and resilient structure of our uPVC doors gives you more than just durable performance. Since this material is so hard to damage, you will notice less wear and tear on your doors, even after years. Because of their weather resistant coating, your uPVC panel doors will not fade, peel, or flake. This hard-wearing surface is also quite moisture-resistant. Your entrance doors will never rot or decay. Since the surface does not absorb liquids, the doors will also not stain easily. Whatever dirt and marks do get on your uPVC doors can be easily wiped off with a wet cloth. The profile of our uPVC doors is designed to trap warm air and keep your home warm. The core is broken up into multiple chambers. These breaks prevent the free flow of air, preventing convection currents from forming. This layer of static air acts as a layer of insulation, keeping the heat inside your home. Offering superior levels of weather tightness, our double rebated doors are held in place and gasketed using Liniar’s patented double action bubble seal. As a result, these doors are able to keep out draughts and seepage of rainwater. Our uPVC doors can withstand the worse of the British weather – making them a fantastic investment for your home in East Sussex. Our uPVC doors, created by Liniar, combine handsome aesthetics with advanced engineering, making them the most secure, efficient and durable double glazed doors on the market. Manufactured using 100% lead-free and recyclable materials, they are also designed to be eco-friendly. This is something that puts our Liniar uPVC doors ahead of both UK and EU legislation. With our uPVC front doors, you get reliably durable doors that have been stringently tested both for performance and strength. All components of the Yale locking system are designed, manufactured and tested to the latest British Standards criteria. These doors are BSI certified, and guarantee a quality performance and heightened security of your East Sussex home. As a member of the Double Glazing Network, you can trust us to supply and install only the finest of double glazed doors. However, we understand that you can’t just rely on our word and reputation. This is why we give you uPVC doors that come with a 10 year guarantee against cracking, warping and discolouration. As a result, you can confidently invest in the improvement of your Eastbourne home. We source our uPVC profiles from one of the market leading manufacturers, Liniar. uPVC has always been a low heat conductor. Liniar have built multiple chambers inside the uPVC profile which enhances the thermal efficiency further. The chambers allow the profiles to create a thermal barrier by trapping passing air and, when combined with our glazing, you can achieve U-Values as low as 0.8 W/m²K. 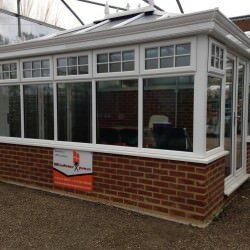 When you opt for Liniar uPVC double glazing, you will be provided with a wealth of benefits for your upcoming home improvements in Polegate, Eastbourne, Hailsham, Seaford, Shoreham-by-Sea, Worthing, Eastbourne, Brighton, Hastings and throughout East Sussex. We offer unbeatable uPVC door prices to homeowners in Polegate, Eastbourne, Hailsham, Seaford, Shoreham-by-Sea, Worthing, Brighton, Lewes, Hastings and other areas throughout East Sussex. Start your free online quote today and see just how affordable our uPVC doors are. 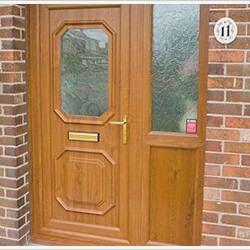 Simply enter your door measurements and requirements into our online quoting engine to receive a unique door cost. Alternatively, you can send us a message and our expert team will be happy to help with your enquiry.